Situated in the small town in Bagalkot district of Karnataka, Mahakuta Group of temples was built in 6th– 8th Century AD. Mahakuta means “Great Group” and this name is given to the place because of a large number of Lord Shiva temples in the same complex. It is a religious place which has been dedicated totally to Lord Shiva. This place is just a few kilometers drive from Badami. Mahakuta group of temples has various historical inscriptions over it which tell a lot about the history of the place and religion. 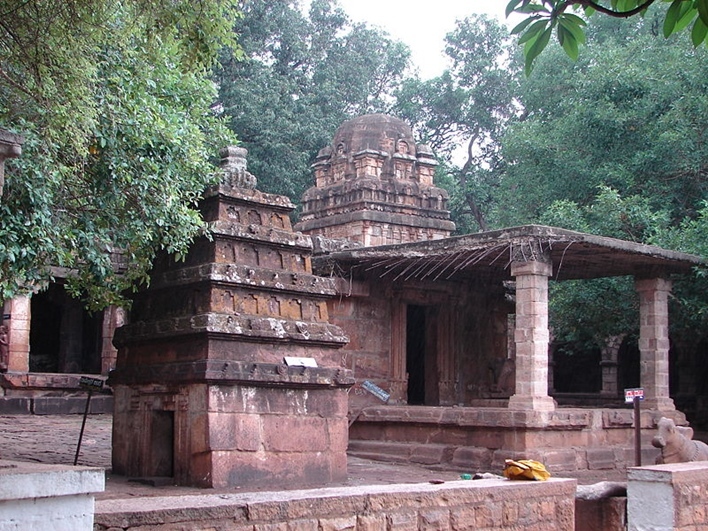 The temple shares a Chalukya type which is found commonly in Pattadakal, Aihole and Badami. Pillar Inscriptions: It is also known as Dharmavijayastambha. This inscription records details about Chalukaya achievements and their military expeditions. Porch Inscription: This inscription, also known as Vinapoti inscription, is recorded on the porch of the temple and tells the tale about a grant of a silver umbrella and rubies (Called Vinapoti) made to the lord, by Vijayaditya, his concubine. 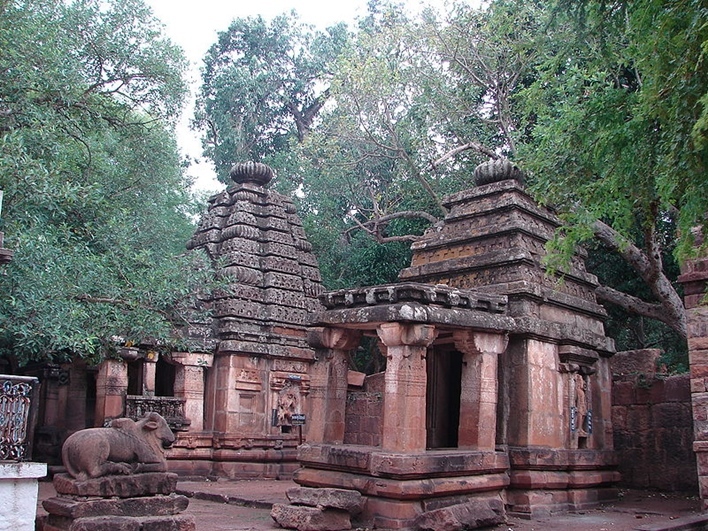 Mahakuta Group of temples is a pure reflection of Aihole architectural style buildings. The temples boast a lot about Dravidian and Nagara hybrid style followed by Chalukya. The temples have curvilinear towers over the sanctum. Amongst different temples dedicated to Lord Shiva, the Mahakuteshwara temple is the most prominent one out of them all. Built in Dravidian style, the temple has a Shiva Linga on top of a curvilinear tower. There are other small temples as well around this main temple, like the temple of Nandi in the front. The walls are decorated with amazing unique carvings of Lord Shiva which attracts visitors to its beauty. Apart from this, the temple also has a natural water spring fed tank known as Vishnu Pushkarini. Owing to its natural beauty and beautiful carving, this temple is also termed as being similar to Mallikarjuna temple which is located on the other side of Vishnu Pushkarini. The Mahakuta Group of temples was built early in Chalukya Dynasty and it speaks a lot about ancient culture and tradition. The beautiful temple was built by Chalukyas, the first king Pulakesi I, this fact is well evident from the first sight of temples. One of the fascinating facts about the temple is that there are more than two dozen Shiva Temples in Mahakuta temple complex surrounding natural attractive spring fed tank known as Vishnu Puskarini, or Papavinasha Tirth, meaning tank that washes away all your sins. The local people use the tank as a swimming pool. Mahakuteswara is the only renovated and largest temple in the Mahakuta group of temples. It is the best attraction of the place and appeals to people from around the world. Indeed Mahakuta group of temples is an amazing piece of Hindu culture and tradition. It is also a holy pilgrimage for worshipers of Sakit religion and Shaivites. For those who are history lovers and wish to get information about their religion, this is one of the best temples to visit. It is located just a few kilometers drive from Badami thus enabling people from all around the country to visit the place conveniently. 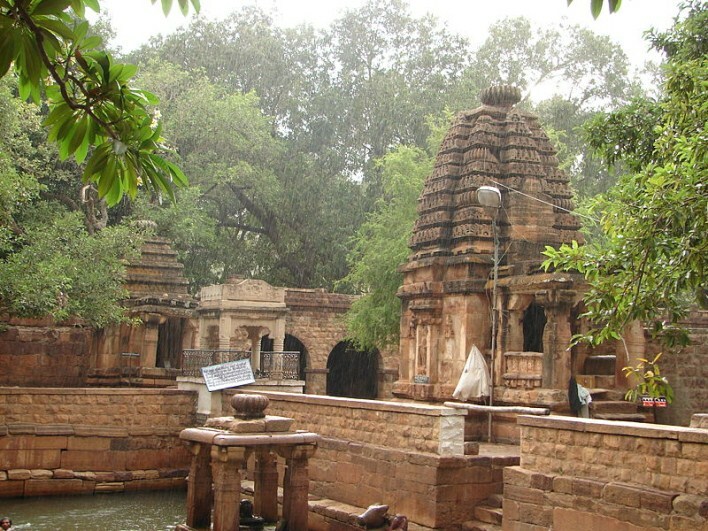 Mahakuta is situated around 460 Km from Bangalore, 15 km from Badami and 10 km from Pattadakal. The Mahakuta group of temples is located in between Badami and Pattadakal. One can reach Mahakuta by taking local bus service from Badami. The nearest airport is Hubli Airport, about 120 km away. Badami is the nearest station, about 14 km away from the temple. Mahakuta can be reached by taking the local bus service from the station.